For the last fortnight my nose has been pressed against the window, #blisterbunnies sitting forlorlnly in the corner desperate to go out running. The spirit is willing but sadly the body is not! But, with all this spare time on my hands, I’ve made a marvellous discovery – the art of virtual running! So if you want to run the Badwater Ultra , 135 miles across Death Valley in 120f heat, but without the IV drips or the cronic kidney failure, or swoop through the forests of British Columbia as you tackle unchartered trails on a roller coaster 180km not stop run in under 48 hours. 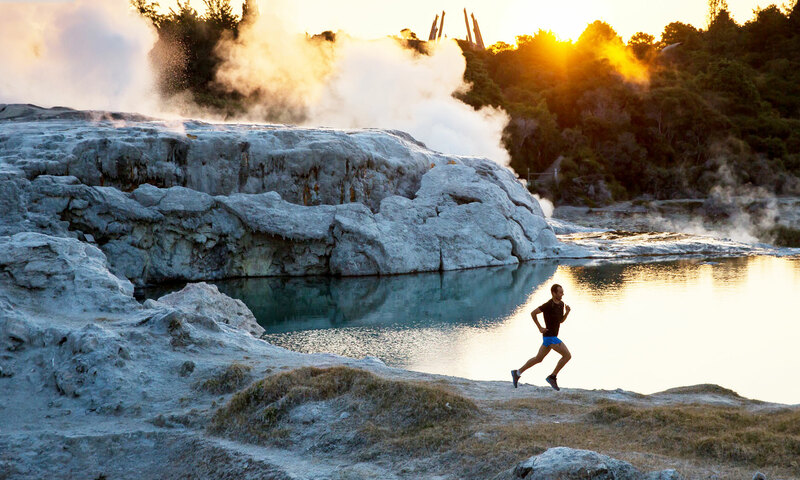 Or perhaps you prefer to race against some of the all time ultra greats – the likes of Timmy Olson, Sage Canaday, Mick Donges or Anton Krupka in the beautiful Tamarawera 100k Ultra. Then look no further just click on the links below to be magically transported! 135 miles across Death Valley in 120f heat – there are some great characters in this one including a 65 year ld Brit who has done it 11 times and a really cranky bagel seller from New York. It’s a classic – enjoy it and prepare to weep! 180km non stop along a previously unchartered trail in the beautiful woods on British Columbia’s Sunshine Coast. The runners in this are inspiring and the hero of the film, Ean Jackson, well he’s a legend. The problem is he treats the while thing as just a joke & makes it look so easy it takes away the unbelievable feat of what they actually achieved – Ean we salute you & keep eating those burgers and drinking that beer! What to know how to do it properly – then follow Sebastian’s routines as he prepares for the UTMB – a great film that lets you in behind the scenes of an ultra runner’s life.